Which Hostel Booking Website Should You Use? Which Hostel Booking Website Is Best? If you've decided to head out on a big trip abroad and will traveling on a budget, you'll probably be staying in quite a few hostels along the way. Hostels are one of the best ways to save money on the road, while helping you make friends along the way. It's because of this that I recommend hostels as my number one accommodation choice for student travelers. However, there are quite a few accommodation websites for booking hostels out there, and knowing which one is best for your needs can be more than a little tricky. In this article, I share the companies I personally use and recommend, as they have the cheapest prices and largest inventory of accommodation. I've been traveling full-time for six years now, so I've had plenty of experience figuring out which site is best to use. HostelBookers is my number one choice for booking hostels and I always check here before looking at any other websites. I've consistently found HostelBookers to be cheaper than the competition by at least a couple of dollars -- and rarely are they ever the most expensive option. HostelBookers have a large range of accommodation options too, so it's unusual for me not to be able to find a place to stay. Definitely check here first. The site is easy to use and offers a comprehensive list of hostels in almost every country around the world. Their customer service is fantastic and have always been able to help me out whenever I had a problem with my accommodation. If I can't find anything on HostelBookers, my next move is to head over to HostelWorld. HostelWorld has a larger amount of properties listed on its website, so if you can't find anything on HostelBookers, you'll likely be able to find something on HostelWorld. The downside of using HostelWorld, however, is the price. 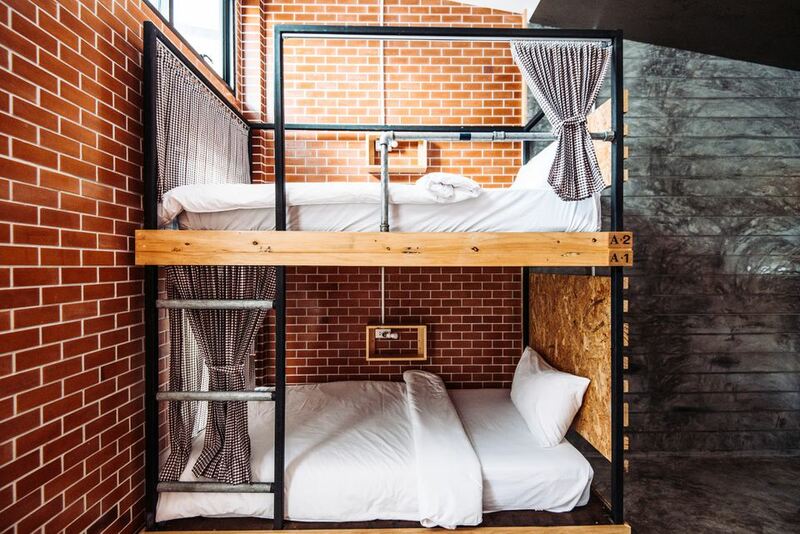 Unlike HostelBookers, HostelWorld charges a $2 service fee to book your accommodation, making it one of the priciest options around. Having said that, one great feature that HostelWorld has that other hostel booking websites don't is the ability to search for partial availability for hostels. This means that you may be able to spend three nights in a 6 bed dorm and two in a 4 bed dorm, and it'll still show that there's availability. All other websites would list the hostel as being fully-booked, leading you to look elsewhere. Because of these reasons, it's a good idea to check HostelWorld if other websites are showing the hostel as being fully booked, as well. One of the downsides of HostelWorld comes from one of my own personal experiences. I stayed at a hostel in Estonia that had bed bugs. I wrote a review to warn other travellers and HostelWorld refused to publish the review. If they didn't publish that, what else are they refusing to share with other travelers? Agoda may be best known for listing hotels, but they also list plenty of hostels on their website, and at very reasonable rates, too. You'll often be able to find a hostel on Agoda for the same price as you would on other sites, and occasionally, it will be heavily discounted if you book far in advance. One advantage to using Agoda is that their customer service team is fantastic. When I had to cancel a trip to the Seychelles, somebody from Agoda spoke to each individual hostel I'd stayed at to ask if they'd refund my stay because I had been unwell. The team also told me that if I could give them a doctors note they'd refund me for my stay out of their own pocket. You can't ask for better service than that! Agoda has a fantastic list of hotels, guesthouses, and hostels for Asia, so if you're planning a trip to anywhere in Asia, this site is easily the first one you should check. Booking is similar to Agoda in that it also offers hostels at a similar price to HostelWorld. And similarly to HostelWorld, it's the better-known site and therefore has a greater number of listings. It's worth mentioning that Booking also has a useful mobile app that is easier to use than the website, so if you want to check availability and prices, I recommend downloading that first. Booking is best for North America, so if you're planning a big road trip, head to Booking.com first to look for available accommodation. One big frustration with booking: they often list hotels that have been fully booked to show that they're a popular site. It's annoying as a user, as you often think that hotel is available to book. There are also several websites that aggregate most of the websites mentioned above and aim to show you the cheapest option. You could take a look at Hostelz, which displays results from HostelBookers and HostelWorld, as well as a few other sites, and shows you who has the cheapest rates. You can then book directly through Hostelz at no extra cost to save time. I personally find the Hostelz website slow and clunky to use, so will usually book with HostelBookers or HostelWorld unless the price is cheaper through Hostelz. One advantage to using Hostelz is that you'll usually find more availability at the places you're looking for -- I've found that twice as many dorm beds seem to be available in hostels when using Hostelz, because they're checking across a wide range of sites. Additionally, for the same reason, you'll likely find several dozen more hostels on Hostelz than when searching HostelBookers or HostelWorld individually, so this is definitely one to opt for if you're on a tight budget. HotelsCombined is another option, except this website aggregates the best hotel sites. As hotels often list hostels, this is a site to check if you're struggling to find somewhere at an affordable price. HotelsCombined checks prices for Agoda, Booking, Hotels.com, LastMinute, and more. The site is easy to use and helps you to easily see which site will get you the best price for a bed. Another option is Skyscanner, which we already love and recommend for finding cheap flights. One of the lesser-mentioned features of Skyscanner is their accommodation search engine, which allows you to check the prices for many of the above-mentioned sites at once. It's a little clunkier to use than the flight search engine, and it definitely works best when you are specifically searching for the price of a hotel or hostel, but it's still worth checking if you have the time. Something not many travelers think to do is to search for the hostel's name in Google to see if they have a website. If they do and you can book directly through it, it's worth taking a look at the prices. You may be surprised to learn how many times booking direct works out to be cheapest -- after all, from the the hostel's perspective, they can afford to offer a small discount as they won't have to give a commission to HostelBookers or HostelWorld, etc. Some of these sites take as much as 30% of the total price of the booking to list the guesthouses, so it's no surprise they can offer a cheaper rate if you don't go through Agoda or HostelBookers. If the hostel doesn't have their own site, take a look to see if there's a listed email address for the owner, or maybe even a Facebook page. If so, you can contact the hostel in advance to see if you can work out a cheaper price to the one you've found online. If you mention you'll be saving them the commission they'd usually pay to HostelBookers, etc, they'll likely be open to negotiation. So Many Options! Which Should You Go With? A healthy mix of several different websites. I'd recommend heading to Hostelz to start your search. Once you've found a place that sounds perfect for you, head to HostelBookers, or even TripAdvisor, to read the reviews left by other travelers. If they're mostly positive and the hostel sounds like a good fit, pick a few of the websites mentioned above, check the prices at each of them, and choose the one that's cheapest. If you're short on time, aggregate sites are the way to go. If I had to recommend just one website that was better than the others, though? I'd have to go with HostelBookers. They're always my first stop when I need to find an affordable hostel, and I've found them to consistently be cheaper than the competition. I've used them more than any other site over the past six years of travel and they're yet to let me down. Should You Book Your Hostels in Advance? What is a Party Hostel? 6 Great Options for Cheap Bus Travel in the U.S.
What Is a Travel Aggregator and Which Is Best? Which Type of Accommodation is Best For Student Travelers?